For years, the term “St. Elmo” conjured up images of an awful Rob Lowe movie and an amazingly cheesy John Parr song. After checking out St Elmo Brewing Co, I can add rock solid beer to that list. 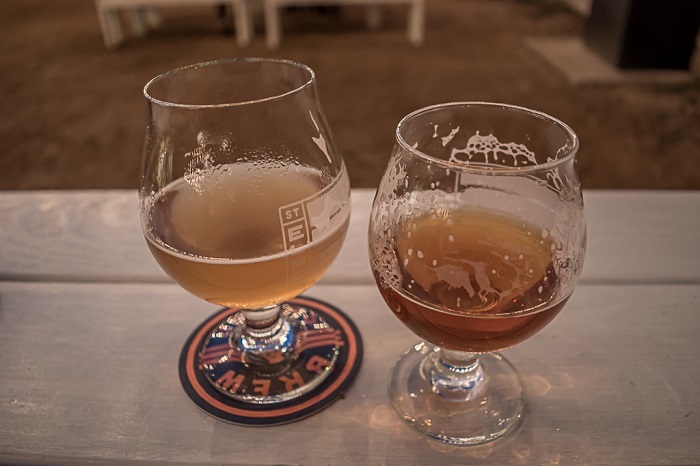 Situated on the same street that bears its name, this South Austin brewery looks to deliver well-crafted, quaffable beer to a neighborhood thirsty for a brand new hangout. Don’t think this place was built by newbies. 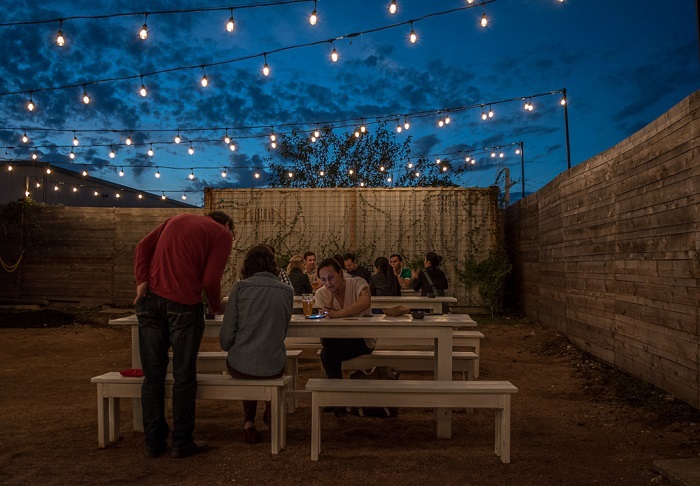 St Elmo was founded by Bryan Winslow and Tim Bullock, both veterans of Austin Beerworks. As they worked their way up through the ranks, they learned valuable lessons and tricks of the trade. Fast forward a few years, and St Elmo Brewing Co is officially open for business. The brewery’s interior is laid-back and simple. The full brewing line greets guests as they enter the beer hall. Long tables crisscross the main dining/drinking area, while a spacious outdoor space encourages hanging out during good weather. The night I visited was cool and crisp, a lovely opportunity to relax and sip some beer. Carl – Named after the “Family Matters” character that shares Bryan Winslow’s last name, this is a crisp, dry and true to style kolsch. Well-suited for scorching hot Texas summers. Chico – Bready, malty American pale ale with an up-front hop bite. Named after Chico, Calif., home of the Sierra Nevada brewery that pioneered the modern pale ale style. Angus – Lighter bodied stout full of subtle coffee and chocolate notes, all against a dry, malt-forward backbone. Inspired by the AC/DC front man of the same name. Along with its core line, St Elmo has a number of seasonal and rotating taps. During my visit, I was able to try the Dampf, a “hefe-barley,” and the Slater, an excellent American IPA. The Dampf in particular blew me away. Featuring all the citrus and clove notes of a traditional hefeweizen with a richer malt backbone, it’s a satisfying blend of refreshing and dark. I kept yammering to my bartender, “This is such a good idea!” One of my favorites from the tasting. Don’t expect to find St Elmo Brewing Co in your local craft beer bar anytime soon. According to the founders, they’re taking the slow and steady route. With such a kick back, chill out atmosphere, there’s nothing wrong with grabbing a pint straight from the source. They even have an incredible food truck, Soursop, on premises providing Asian-inspired bites. The eatery has exclusively partnered with St Elmo. Protip: Try the “pho-tine,” an Asian-inspired version of poutine with five-flavor flank steak and sriracha, or the exquisite frita burger. And then relax. Let good conversation and tasty beer melt away the worries of the day. 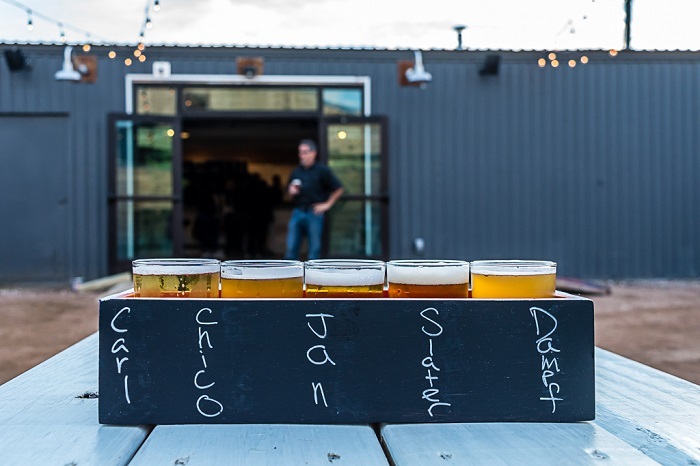 With an exciting array of tasty beverages coupled with an incredible food truck, St Elmo Brewing Co should be your next stop when you’re craving the latest in Austin craft beer. St Elmo Brewing Co is located at 440 E. St. Elmo Road. For tap room hours, beer list and social media, visit stelmobrewing.com. 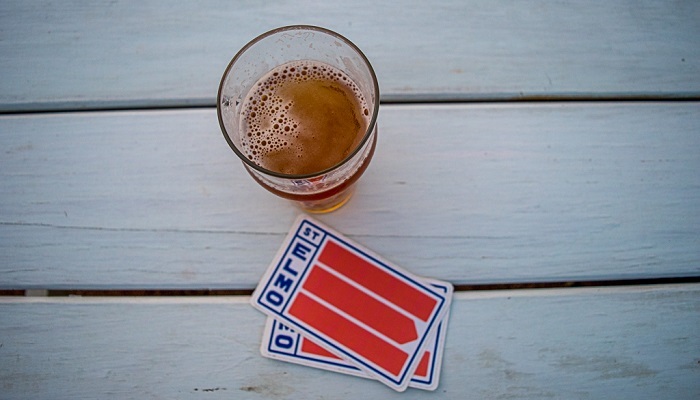 What’s your favorite brew at St Elmo Brewing Co?